Did you know that we run weekly tours of the Vivarium Gallery and these are conducted by our knowledgeable Vivarium staff, who are extremely enthusiastic in their subject. Whilst sharing their passion for the animals during the tours, they also highlight some of the fundamental conservation and education work being carried out with our live collection. The tours (for those aged 11 years and over) take place every Thursday, between 12 and 1pm. *Please note that these are informative Gallery Tours and not ‘Behind the Scenes’ visits. The tour was a fanstastic way to get to know the individual inhabitants of the vivarium. It was great to meet you all! On a more serious note they highlighted the plight of these animals in the wild, and brought attention to global conservation issues that aren’t discussed in the media. The tour was fantastic. It is nice to know more about the animals in the vivarium also to take a close look at the animals rather then looking at them from behind the glass. It makes you appreciate how hard the museum has to work in order to keep the residents happy. Elena and Alicia did a great job showing us all the fantastic residents of the vivarium. They were both immensely knowledgable, and even having a background with reptiles and amphibians I learned several new things. This is a great way to appreciate a local gem even more, and gets you an inside scoop on the processes “behind the scenes” of the museum–as well as an up-close look with some of the animals! Fascinating tour and a great opportunity to learn more about the Museum’s work and the amazing creatures it looks after. From Amazonia to Australia via Madagascar without getting lost once, Elena and Alicia were great guides. Thanks! I would like to thank you for a very interesting and knowledgable tour . (21 April). You did a great job showing us around. I thoroughly enjoyed it, as did others on the tour that I apoke to. It was really interesting to hear what activities the museum is involved in. All the info was very interesting and the enthusiasm of the two volunteers, Elena and Alicia ensured it was a very enjoyable visit. It was wonderful, I loved it and have recommended it to all my friends and colleagues. The genuine warmth and enthusiam shown by the two volunteer guides made it all the more special. Really enjoyed it and found it to be very thought provoking, Alex and Alicia (and Andy) are obviously very interested in this subject. The energy and enthusiasm the tour guides expressed was infectious! My daughter and I enjoyed it very much. Both the two guides are knowledgeable in their fields as well as enthusiastic in nature conservation. We have learned much from this tour and we are looking forward to visiting your new open area next year! Thankyou for a really interesting and enjoyable tour. The two guides were really friendly, enthusiastic and knowledgeable and it was a very informative hour. Excellent tour. I’ve been to the vivarium before but today I saw the animals in a completely different light. Elena and Alicia conducted a tour that was educational, interactive and most importantly – fun. They were very knowledgeable and carried out the tour in a very professional manner. Thoroughly enjoyed the interactive part at the end. Would recommend this tour (and have done so) to anyone. Thanks very much for the tour. Your enthusiasm shone through and it was great to hear about the conservation work that is being undertaken. The tours are a great idea to engage people in what you are doing. Well done!!! I thoroughly enjoyed my tour and found the volunteers extremely helpful and knowledgeable. The tours are a brilliant way of informing staff and students of the great work that the Museum is undertaking and the research it is involved in. Many thanks. I really enjoyed the Vivarium Tour today, and found it so much more engaging than simply reading the information plaques for myself, as I have done on previous visits. Alicia and Nadia seemed very knowledgable and enthusiastic, and it was great to be able to see some of the animals up close at the end of the tour. What a great way to spend a lunch hour! Alicia and Nadia were excellent guides and it was a real treat to see the animals up close. It was interesting to learn more about the research that the Museum is involved in and the collaborations with Life Sciences (and presumably other areas too). Thanks too to Andy for showing us one of the rarest frogs in the world – even if it did make a bid for freedom! I really enjoyed the Vivarium Tour. Alicia and Nadia were very enthusiastic and engaging. They spoke confidently and knowledgeably and it was obvious how much they enjoyed their subject. As well as conveying the seriousness of why the vivarium is here and the research and conservation aspects, they also had a sense of humour. All these combined to make the visit memorable and enjoyable – getting up close to the animals was a fabulous experience and although I have been to the vivarium before, I now know and appreciate so much more. Thank you! My mind was blown! I definitely recommend it to everyone. Fantastic chance to explore and remember how beautiful and awesome the world is. But also, to reflect on all that we are losing by destroying their habitats and breaking the subtle harmony. I was happy to learn the role that the University of Manchester is playing in conservation too. Tour guides were great: enthusiastic, friendly and knowledgeable. Hi Silvia, such a lovely comment about the tour, thank you so much! I am so pleased to hear it had such an impact on you and that Alicia and Alex were such stars. The whole team of volunteers we have working in the department all deserve so much credit for their contribution to what we are doing. Thank you all! This was my first close encounter with reptiles and I was completely amazed! others are extremely poisonous and even one with a false head! Thanks Elena, Alicia and Andrew for doing such a brilliant job. Aaaamazing tour!! 100% recommended for everyone. It gives you the opportunity to learn about some of the most endangered animals, and to interact with some of the impressive reptiles is also awesome. Thanks to Elena and Alicia for such a nice tour. Many thanks to Elena and Alicia for this wonderful tour! Was a great experience, both entertaining and very informative. They made us aware of animals in the Vivarium we would not have noticed alone, and, moreover, allowed us a direct contact with them! The explainations provided were very interesting and professional, and brought us to a colorful and fascinating world! I loved the tour! I learnt a lot about chameleons and poison dart frogs and the amazing adaptations these reptiles/amphibions have. Getting some of the animals out for us to touch and investigate up-close was really fantastic- we got some great photos! It was also impressive to learn about the excellent conservation work being done by Andrew and his team, something you are rightly very proud of and could empahsise in your displays. Thanks Elena and Alicia! The best lunchtime I´ve had without eating. Interesting and thought provoking, worth every single penny I never spent. Such a fabulous tour, Thanx Elena and Alicia! such a fabulous tour, Thanks Elena and Alicia! Just came back from my tour. What an amazing time! Getting to handle the reptiles was awesome 🙂 Thanks Elena! I’m definitely going to visit again. The tour was both informative and exciting, handling the reptiles as well learning fascinating facts about them was a very unique experience – thanks to Elena, the tour guide, who was very enthusiastic about the animals. This enthusiasm added to the atmosphere of the tour because it made all the guests taking the tour feel more involved and enthusiastic too! Prior to the tour i would have never even dreamt of holding a snake or lizard in my hands, but i did, and it was incredible, not scary at all! Thank you so so so much Elena, and the rest of the team at the museum for making it possible, i would recommend it to anyone and everyone! Amazing tour!! It’s so cool just to see how many things we can learn from the animals! !….Really enjoyed the tour, Elena was amazing explaining everything and giving us a close look to almost all the animals. It honestly changes the whole perspective if someone explain to you how do they live and interact with each other. The tour was excellent. A very fun way to learn about wild life. Thanks so much to Elena who made the experience so lively through her enthusiasm to share her knowledge. I would highly recommend the it. My wife and I booked on yesterday’s vivarium tour and found it to be a magical and captivating experience. Our hour long tour ultimately lasted 1 hour and 30 minutes thanks to the willingness of Elena Martin to answer our questions with great patience. Elena is a great communicator and obviously loves her role as a tour guide. To be able to hold a python for the first time, watch a chameleon eat its prey from a couple of feet away and to see poison dart and leaf frogs at close quarters was special. Aside from the obvious touchy feely side to the tour the educational aspect was terrific as well. I suspect we learned far more in that hour or so than we did from watching lots of natural history programmes on TV. We’d like to extend our thanks to Elena and Andrew Gray for making the visit so memorable. Fantastic tour! It was very well organized and incredibly interesting. Most importantly I think it gives you a bite of the incredibly high number of survival strategies developed by different amphibian and reptile species and how complex they are. It also shows how well they can fit to the environment they live and cope with its threats. Absolutely incredible tour last Thursday(7/7/11) with Nadia. Thank you very much! It was not only learnig about the vivarium inhabitants but understanding the work that is being done there to conserve the endangered species. Very exciting! Now i can play a clever mum to my son when we will revisit it together soon;) Nadia mentioned it was her fist solo-tour- I would never guess-well done!! !packed with knowledge but also enhusiasm:)! Many thanks to Andrew Gray, Ailsa Strachan and the team at the Museum for setting up and delivering a fantastic tour today, for a group of around 25 students from Singapore. They loved it! It was certainly a fantastic way to showcase the university to prospective international students. We look forward to incorporating more visits to the Vivarium, for international inward visits that we host. Thank you again. The tour today was just magical! Our tour guide Elena did a wonderful by walking with us through different eco systems and showed us how amazing nature itself is. The anecdotes about nature’s perfection and balance were astonishing. (How pet shops sell these animals and people without any proper knowledge about how to take care of them a bit less.) Being able to touch the animals helped understanding what she was talking about more, and personally made me a lot less afraid of snakes! I would really recommend this tour to anyone interested in nature and animals, and I hope it will continue its great job of promoting conservation. Thank you for the great tour, I was delighted to discover this hidden gem right under my nose. Elena was a great speaker and made it a proper ”hands on” experience which I’m sure all participants appreciated. It’s astonishing to see how different species can adapt and evolve to survive in their environment. Unfortunately they can’t do it over night,,,and human activity sometimes leads to extinction of many of them. This tour is a great way to engage and encourage general public and especially the young generation in habitat and species conservation. The Vivarium Tour was a very good experience. Its the first time I was handling snakes and lizards and i’d like to thank Elena and the team for providing me the wonderful opportunity. I also learnt a lot from Elena about the animals, differences between snakes and lizards, between a boa and a python, the technical aspects of the vivarium used to keep the animals in their closest to home conditions and to enable visitors to have a good look at the animals. I should also appreciate the passion and goodwill that people like Elena have for studying about these animals and trying to conserve them for the benefit of future generations. I’ll definitely try to pass on the message. Both me and my daughter really enjoyed the tour with Nadia and Andrew yesterday. A great way to find out so much about these fascinating creatures. Mae couldnt stop talking about it afterwards and Ive been recommending it to everyone at work. I had the great pleasure to be given a vivarium tour by my own zoology student, Alex (who made me proud and impressed me), and Andrew Gray himself! At the end, we also met Adam who takes care of the animals behind the scene and he told us a lot about breeding in captivity. I had an amazing time! The tour is great and I recommend it to anyone, knowledgeable or not. This is an original, and refreshing way to spend your lunch break and will make sure I go (again) with my students next semester! You get so much more than if you were to look at the animals by yourself. This is a great opportunity to have a personalised experience, learn a lot, get to ask many questions, not miss any of the tiny and lovely frogs, and to touch or hold the animals if you’re brave (unlike me!). Thanks everyone for putting a great tour together. What a wonderful walk on the ‘wild side’ to be able to view these exotic live creatures in realistic habitat displays, and to also hear the very knowledgable additional information provided by our tour guide Nadia. Numbers of our tour increased significantly when Andrew Gray joined us to let us feel and see the various animals close up from the exhibits. The vivarium is a fantastic place to visit, and is not just for children – well done to Nadia & Andrew! Thank you very much for a wonderful tour. Elena and Alex are both extremely knowledgeable about the animals and are passionate to match. My partner and I brought along our sister and our eleven year old niece. Our niece had never handled a snake before and was really overjoyed to have such an opportunity; this tour has also added to her already developing enthusiasm for zoology. I think after this tour she is considering zoology for her future studies. I would highly recommend this tour to anyone. What a fantastic and amazing experience! Thank you so much to Andrew and Adam for such an interesting and fun insight into the vivarium and the animals that live there. its a really fantastic way to learn about the animals and to see them up close and personal. I had the pleasure of holding one of the Chameleons which was breathtaking. Andrew and Adam are so passionate and knowledgeable which is really engaging. I think its refreshing to learn of all the conservation work that is being carried out and now appreciate the effort that goes into replicating the animals natural habitats. As a member of staff at The University of Manchester I feel proud to have the vivarium on our doorstep. I would strongly recommend the tour to anyone and everyone. This might all sound very over the top, but I’m not exaggerating, it was a wonderful hour and I cannot recommend it highly enough. The tour is much more impressive than my expectation. The tour guide’s rich knowledge and witty expressions made the tour live and interesting. What’s more, the intimate contact with some of the animals made the tour memorable. I really enjoyed the tour – it was both fun and educational. Our guide Elena was friendly, knowledgeable and very enthusiastic. Thank you so much. I will definitely be recommending friends and colleagues to take the tour. This was a superb tour. Elena was enthusiastic and knowledgeable, and I could have happily spent more than the one and a half hours viewing the animals and hearing her explanations. I particularly enjoying watching the chameleon feed and seeing the red-eyed leaf frog up close. It was captivating to see it change from a dozy green blob on a leaf into a brightly-coloured and highly-alert little frog. This is a great way for the Museum to engage with the public and I’d love to see more tours offered for other areas, such as the palaeontology collection. Your tour this Thursday (led by Elena) was marvelous. It ran over time and we didn’t even notice. Elena was an excellent, knowledgeable guide and great with the children in the group. I’m recommending this to everybody I know! This tour is one of the best things I have done in this country!! It was fascinating, informative, interactive and fun. The university and museum are doing wonderful work in the field. All credit goes to the hardworking staff! Thank you for a brilliant tour today Elena – we absolutely loved coming over from the University to such a great museum on our doorstep. Interactive and informative – everyone should go! We all had a fantastic time on our lunchtime tour of the Vivarium and as people have previously stated, Elena was a knowledgeable and enthusiastic guide who had the answers to all of our questions. It was wonderful to be able to see some of the other work going on around campus and feel like we were getting an up-close and personal experience. I would highly recommend the tour to others and would urge the Museum to open it up to the wider public as I know loads of people who would love to have that special experience! Thank you Elena and Manchester Museum! I thoroughly enjoyed the tour – it was fantastic – I was looking forward to seeing some lizards and frogs – but I had no idea I would be allowed to actually hold a few in my hands – it was really good fun and our tour guide Elena was so enthusiastic it really enhanced the experience. We had a brief talk at the end by the curator of the vivarium collection and were introduced to a red-eyed tree frog – like the one in the poster – a final treat to a great tour. I want to go again. A huge, huge thank you to Elena for today’s tour of the vivarium and Andrew for introducing the gorgeous little leaf frog! We all had a fantastic time and it was wonderful to hear you both talk so passionately about the wildlife and their conservation. I was really impressed (and moved!) by the research that you do and your efforts to preserve such rare species. Our tour with Elena was brilliant. It was fascinating to learn more about the lizards, frogs and snakes, and it was great that we got to hold them. I’d recommend the tour to anyone with even the remotest interest in animals – it’s well worth an hour of anybody’s time, and it’s free! I would like to echo what has been said above about it being an excellent tour. Visiting the vivarium at any time would be excellent but having a guided tour is something I would definitely recommend as it gives more information and the chance to hold some of the reptiles is really amazing. Elena was informative and her enthusiasm and passion shone through. We all left having had an excellent time and learnt a lot in the process. Finding out what the University does and how this relates to wider issues of conservation and gaining a greater understanding of these fantastic creatures. I am a frequent visitor to Manchester Museum and the Vivarium with my 10 yo son and we always enjoy it. But the guided tour is fantastic, and offers so much more! Elena is such an entertaining and informative guide. Each of our group got to hold a lizard and a snake (not compulsory! ), such fascinating creatures. Please keep up the tours, they are amazing – and free! Think I might sponsor a frog next ….. I was really pleased with the quality of the tour. Elena was a fabulous guide. As well has having a wealth of information about the animals, she was also able to give us an idea of their personalities – it made such a difference. The information on the website didn’t mention that we got to handle the animals, which was wonderful – you should add this to your publicity – a photo on the website would also be helpful, I think. It was also good to learn about the research being done at the University, and the efforts made to provide the animals with a natural-ish environment. I recommend it to everyone I speak to! Thanks for the tour! Elena was a great guide and the Museum is doing amazing work in conservation. The red-eyed leaf frog was just gorgeous! Thank you for the tour of the Varaium today, it was really informative, and quite fascinating. And so nice to see the lizards up close. The tour guide was very enthusiastic and did a fab job, and knows her subject well. An interesting and educational way of spending a lunchtime. I would highly recommend this vivarium tour to all age groups. Just returned from a fantastic tour of the vivarium! As we work in Manchester we used the tour as a bit of a lunch time outting for our team of 10. All members came away talking about how much they had learnt, which bits were the most surprising/ amazing and how it was great to have the opportunity to ask questions. The interactive bit went down particularly well! Our tour guide, Matt, was really informative and enthusiastic. I’m pretty sure he would have been happy to stay and answer our questions all day, and if we didn’t have to return to the office, we would too! At the end of our tour we were told that this was the first tour Matt has led- there is no way we would have guessed this from his relaxed and professional manor. Thanks to all at the museum for this brilliant lunch time treat! We will certainly recommend it to others. Hello. Recently went on a tour around the Vivarium, was so impressed. The quality of the habits being provided for the animals is of the highest I’ve seen. The tour guide was very informative and able to answer all of my many questions and it was clear he really knew his subject. I really enjoyed it and would recommend going on a tour to anyone. There is some really lovely work being carried out at the Vivarium and I’m now considering sponsoring a frog, when the student budget allows. I really enjoyed the vivarium tour,seeing the animals close and in their habitats.I thought the guide was very informative. My partner and I were shown around the Vivarium by Adam and were thoroughly impressed. 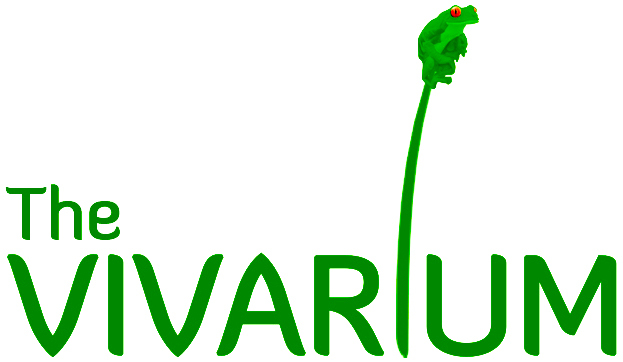 We had no idea of what the Vivarium is involved in and am proud that this kind of work is happening in Manchester. Their expertise and enthusiasm was brilliant and we learnt an awful lot whilst having a brilliant time – not easy to achieve! Thank you to the Vivarium team! Excellent tour and amazing conservation work. Very interesting to see the species and I shall be sponsering a frog. Brilliant tour, family outing which we all (including teenagers) really enjoyed. Really brought to life the exhibits in the Vivarium. Andrew Gray lead our tour which was brilliant, he is so knowledgeable and enthusiastic about his work. Can’t wait to go on the special behind the scenes tour you can book when you sponsor a frog. Thank you for a great visit.